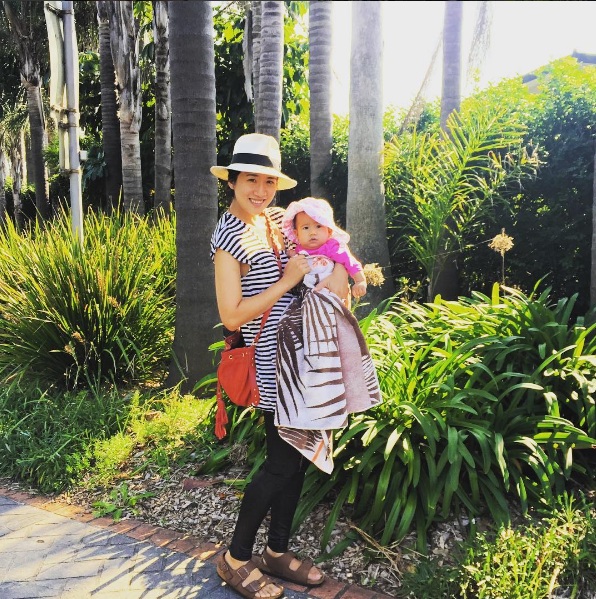 I tried out several maternity sewing patterns when I was pregnant with Umi. Some just looked good but were really uncomfortable, but there’s a handful I have continued to wear beyond pregnancy. Well guess what? I’m pregnant with number 2! So I’m on the hunt for more maternity sewing patterns which are suitable to wear well into the future. In this list, I’ve included the patterns I tried and loved, as well as new ones I am keen to try. 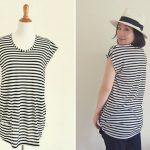 I found this tunic to be the perfect length for both during and after pregnancy. As you can see in the photo, it covered my belly perfectly and once Umi was born, I was able to wear the tunic with leggings. Wow, this tunic looks so much longer without the huge belly! These days, I seem to wear tunic tops over and over. I really like the unique neckline of the Goddess Dress by Pat Bravo. It looks great in the pink summer print, but I think a black version would be so chic for dinner dates. I’m pregnant again during summer, and gauze has proven itself as a hot weather champion. It breathes well to keep your belly cool and drapes nicely over your bump without adding any bulk. Love it! I’ve worn this tunic a lot during Umi’s first year as it has breast feeding access as well. I think I need to make the longer dress version. This dress is such a nice way to show off pretty fabric. 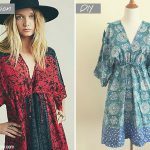 If you have a sarong or even a tablecloth with a busy pattern on it, why not make this dress? When I designed Koi for Hana Patterns, my focus was a draped top with interesting structure that’s universally flattering on all body types. I wasn’t thinking bout maternity at all, but here I am, 4.5 months pregnant and wearing Koi ALL THE TIME. The drape is just right for a growing belly and it has enough length to cover it. I’ve seen quite a few off-the-shoulder pieces by maternity clothing brands lately. Perhaps they would be easy to nurse in as well? 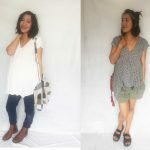 Would love to hear from mamas out there who’ve tried off-shoulder styles. 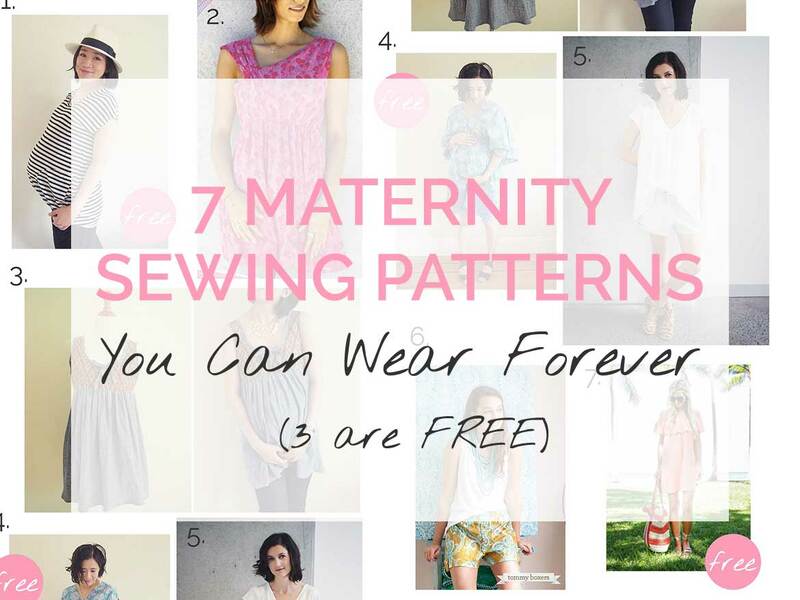 None of these “maternity” sewing patterns were originally designed for pregnancy, which means you can continue to wear them well beyond the 9 months. Are you feeling inspire to start sewing for your maternity wardrobe? It’ll be easier to put these sewing patterns to life with the right machine. If you’re on a budget, the ones found here are perfect for you. If you’re more of a quilter on the other hand, you can improve your needlework — a special machine made for quilting will do the trick. What are your favourite maternity sewing patterns?